This section of the Guttman Community College website provides access to important policies related to the College. Information in the College Bulletin 2018-2019 is current as of September 6, 2018. 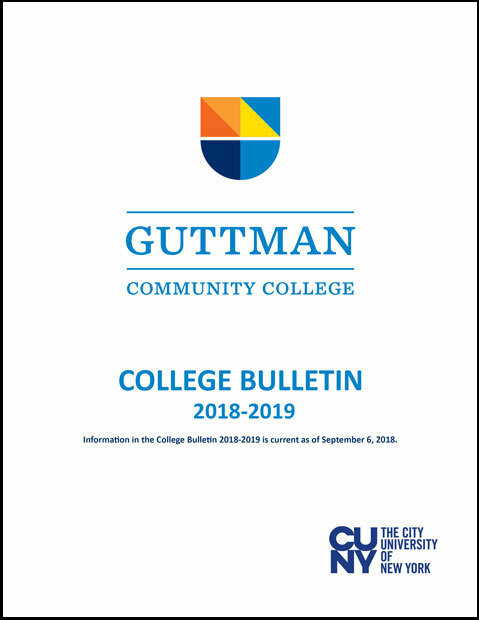 This Consumer Information page provides prospective and current students, parents, counselors, researchers, legislators, and employers access to information to enable consumers to make informed decisions about post-secondary education at Guttman Community College, The City University of New York. The Higher Education Act of 1965, as amended by the Higher Education Opportunity Act of 2008, includes many disclosure and reporting requirements for colleges such as Guttman. Federal regulations require institutions that receive Title IV funding (financial aid programs) to provide specific consumer information about the school to prospective and currently enrolled students, and in some cases, employees. While all this information may be found on Guttman’s website, the following links will assist you in locating the topics you need.